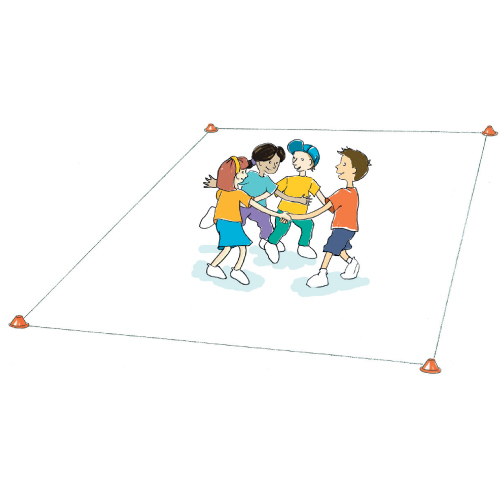 Triangle tag builds on introductory spatial awareness activities. Space and player awareness is important for all indoor and outdoor games and sports. Arrange players into groups of 4. To form a triangle, 3 children join hands while the fourth stands outside the triangle facing the group. 1 player within the triangle is nominated as ‘IT’. Without breaking hands, the triangle group tries to move themselves to prevent the outsider from tagging the player who is ‘IT’. What are the different ways you can prevent the person who is ‘IT’ from being tagged?